Sofya Gulyak is a native of Kazan (Russia) where she studied in a Special Music College under Nailya Khakimova, and then in Kazan State Conservatoire under Professor Elfiya Burnasheva. After that she continued her studies at the Piano Academy "Incontri coi Maestri" (Imola, Italy) with Boris Petrushansky and at the Royal College of Music in London with Vanessa Latarche. 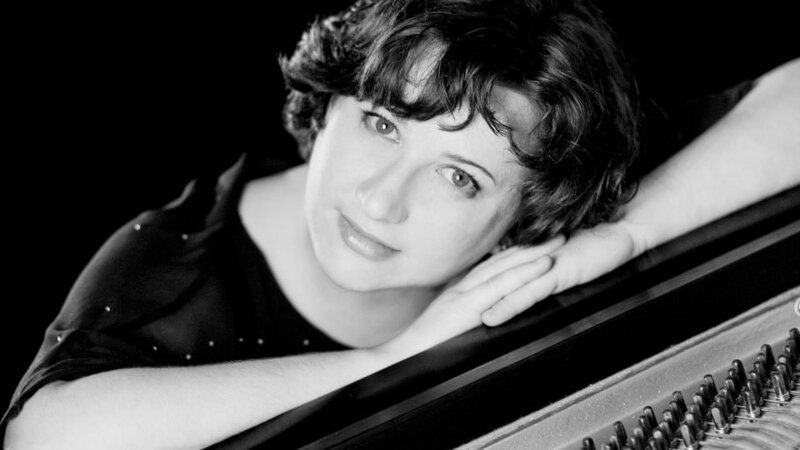 In September 2009 Sofya Gulyak was awarded the 1st prize and the Princess Mary Gold Medal at the Sixteenth Leeds International Piano Competition – the first woman in the history of the competition to achieve this distinction. Since then she has appeared all over the world to great acclaim. Her recital programmes are frequently reviewed in superlatives, and her concerto appearances with major orchestras are noted in glowing terms by the world’s music press. Sofya has been praised for her "tremendous precision and colouration...exquisite soft playing ...with delicacy" and described as a “Rach star"(Washington Post). Sofya Gulyak’s resume includes prizes from many prestigious piano competitions: she is a 1st prize winner of William Kapell International Piano Competition in the USA, Maj Lind Helsinki International Piano Competition, Tivoli Piano Competition in Copenhagen, Isang Yun International Piano Competition in South Korea, San Marino Piano Competition, winner of Busoni Competition in Italy and prize winner of Marguerite Long Piano Competition in Paris.